Fed is unlikely to raise rates today despite only 0.7% GDP in Q1. ...In short, it's probably just a "blip" or "hiccup" that doesn't affect overall trend. To see why, take a look at the indicators they are using (primarily) to make the call. 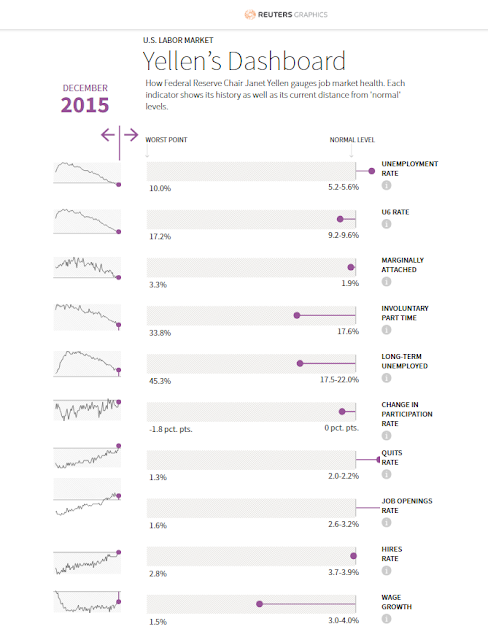 In this sequence, from 2007 to 2017, you can see the labor market weakening and then recovering. Of course, there's plenty of issues to debate otherwise, but from the perspective of the Federal Open Markets Committee (FOMC), they are "on track" or following their plan towards "normalization", etc. The Bloomberg & Reuters displays (below) have always been a bit difficult (in my opinion), to fully grasp. 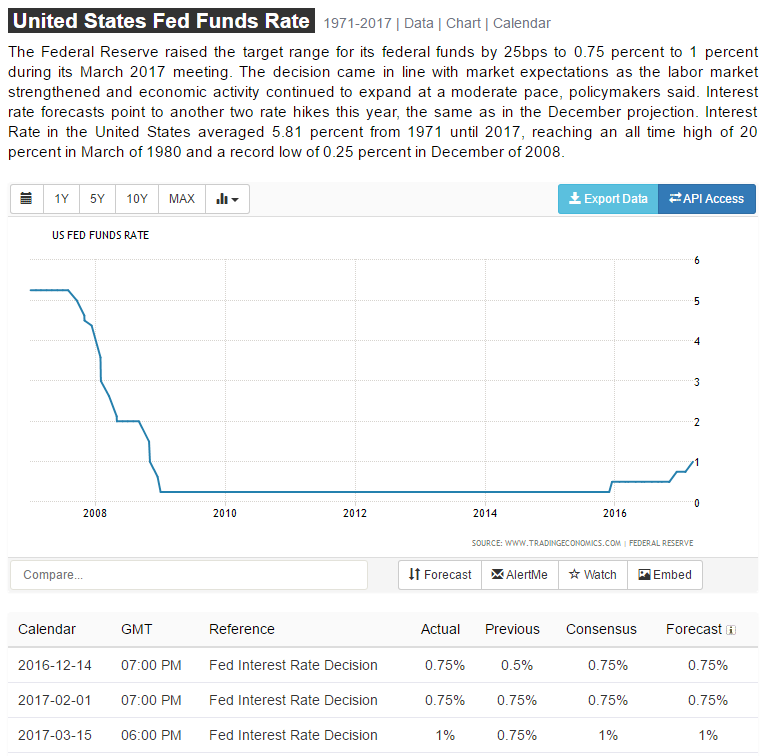 But, thanks to this Qlik dashboard (and some animation), you can see the degradation & re-stabilization of the set of 12 labor market indicators over the 10 year period, as well as the associated adjustments in the Fed Funds Target Rate vs. U-1 % on the bottom. 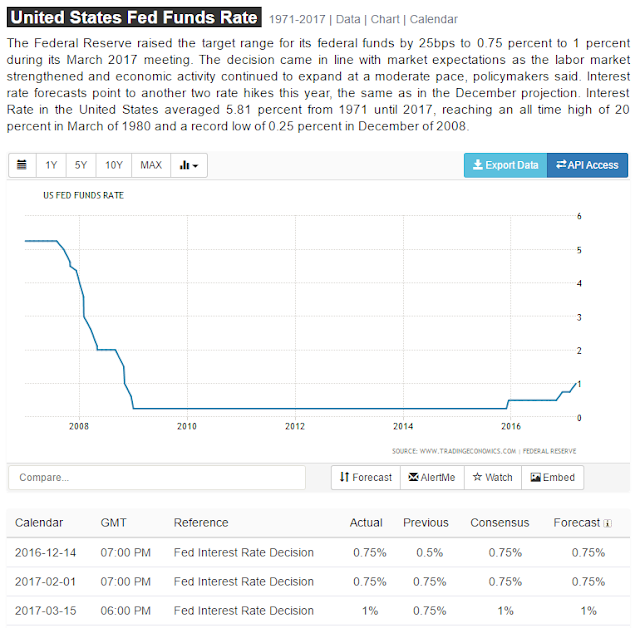 Data from FRED (fred.stlouisfed.org). Also, if interested in access to the Qlik dashboard, please send me a note in contact form below, and I can give you instructions (Qlik Sense Cloud). 10 years of data -- animated. Click to enlarge.